Author Interview: Jay Sexton - The Monroe Doctrine | What Would The Founders Think? Aside from reading a lot of really good books and getting to know some very nice publishers, an unexpected bonus has been the privilege of speaking with some of the authors themselves. Dr. Sexton, the author of a new book on 19th Century American policy, was extremely gracious and agreed to conduct an interview over email. Martin: What is your background and how did you come to be in England? Dr. Sexton: I was born and raised in northcentral Kansas. I went to the University of Kansas as an undergraduate. I first experienced Britain through study abroad as an undergraduate and really liked the Oxford system of self-directed study. So I was very pleased when I got funding as a Marshall Scholar to return as a grad student. I did my PhD (or D.Phil. as it is known here) in Oxford and have stayed in the UK ever since. Martin: One of the things that interests me when I read a history is understanding where its author is coming from. In your study of American history, who is your favorite president and why? Dr. Sexton: This is a tricky one… but easier to answer if I slightly reframe in terms of who is my favourite president to study – which is Lincoln, no question. This is partly the result of the richness of the literature on him and the source material relating to him. But it is also because of the complexity of the man himself and the multiple factors in play in his statecraft. In fact, I’m just finishing now a co-edited volume on Lincoln’s global celebrity with my colleague here Richard Carwardine. The purpose is to explore the many and competing legacies of Lincoln outside the United States. Martin: I noticed that you refer to Thomas Macaulay (in comparing Bancroft as America’s answer). (I have only recently discovered Macaulay – wow can that guy write!) Who is your favorite historian, past or present? Why? Dr. Sexton: Another tough one… This is a really old-fashioned thing to say, but I have to admit that I have really come to respect the scholarship of Dexter Perkins, who wrote a multi-volume history of the Monroe Doctrine in the early twentieth century. Obviously, some of his interpretations have a musty feel to them, but his general framework for understanding the history of the Doctrine stood the test of time and provided the foundation for my own work. He also anticipated many of the trends of our own era through his multi-archival research in different national archives. The mantra of our current historiographic era has been to embrace the transnational and global dimensions of American history. I have been shaped by this, especially the work of the Australian Ian Tyrrell. British history is undergoing similar developments, and I have profited from reading some of the recent literature on the British Empire – particularly Cain and Hopkins and the new work by John Darwin. Macaulay is certainly a writer. I stumbled across an interesting correspondence that he and Bancroft had in the 1850s (I believe it was) about writing national histories. Their respective works would make a fine study some day. Martin: Some books are in the “pop” biography category (but may still be very good), others are more in the academic realm and apparently have no illusions about getting lots of people to read them, finally there are those that seek to bridge the gap between the popular and the academic. Which category would you put this book in and why? Dr. Sexton: Like many, I suppose I tried to straddle the line between the few technicians in 19th c diplomatic history and the broader public. Actually, the audience I had in mind were the British undergraduates I teach in Oxford – so intelligent historians of the highest order, but ones who might not know all of the particulars of 19th c America. Viewing things through their eyes, of course, helped in the sense that one is forced to question basic assumptions and so forth. Furthermore, the British angle is key to the book, so the audience helped in that way. Indeed, I pasted a portrait of Canning next to my computer screen when I was writing the book so that I would never forget that it was British power that was most important in the nineteenth century world. Martin: How did this book come about? I noticed that this is not the first book you’ve written, and wondered if you came upon something in researching for one of your other books that piqued your interest? Dr. Sexton: I suppose this came about when I was looking for a way to think broadly about the statecraft of the nineteenth century. So much is written on ideology and Manifest Destiny, and to a lesser extent on economics and the Open Door. I wanted to find another way into nineteenth century America. The Monroe Doctrine was also appealing because so much of it was about internal, domestic issues – so it was a way of looking both inward and outward. Finally, one of the things I wanted to explore was how contested and debated statecraft was in nineteenth century America – this is a basic point, but one that is often neglected. Dr. Sexton: The nationalism of the post 1812 era is absolutely central to understanding the 1823 message. This was a moment in which the foreign threat continued to bind the American union together. It is important that many statesmen who would later disagree on political issues, like banks and tariffs and so forth, agreed (or at least came to agreement) in this period. 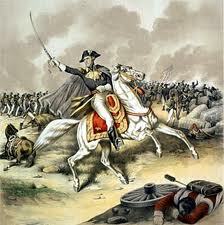 And the memory of Andrew Jackson’s victory at New Orleans convinced many Americans of their power. These themes all were on display in the drafting of the 1823 message. All that being said, I also try to keep in view in the book that there was a persistent fear – even in this high tide moment of early nationalism – that the union would dissolve from within, which of course it did do in 1861. But the dissolution of the union occurred only after America was mostly secure from foreign threats – I think that is an important and revealing point. Martin: It seems that from its inception the Monroe Doctrine was designed to be ambiguous. In the book you talk about the “compromise” between Adams and Calhoun. What was that compromise and what did it buy the United States? It almost felt like Monroe himself was a bystander in these deliberations. Is that accurate? Dr. Sexton: This is a good question. I invented the idea of the ‘compromise of 1823’ – nobody at the time, at least that I’m aware of, called it that. But on all of the major issues – the language to be used in relation to the Holy Alliance threat, the course to be pursued in relation to the British offer of joint action, the possible recognition of Greek independence – the 1823 message articulated a position somewhere between those taken by Calhoun and Adams during the cabinet deliberations. So it clearly was a compromise. Monroe’s role in all of this is impossible to determine given the limitations of evidence. It is safe to assume that he played an important mediating role. I know that a couple of recent studies have made the case for him being a more active and significant president than is often assumed and I wouldn’t dispute that. 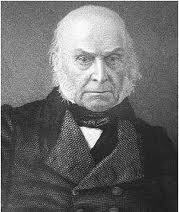 Nonetheless, my view is that the 1823 message – or the bits of it that would later be remembered as the Monroe Doctrine – was a collective document, though clearly John Quincy Adams played the key role in drafting the sections on foreign affairs, as was customary for secretaries of state to do. Martin: You point out that the Doctrine was careful to delineate what the European powers could not do vs what the United States would do. A big part of this ambiguity was to avoid tweaking the British nose too hard. How did the love/hate relationship with the British factor in to the early interpretations of the Doctrine? Dr. Sexton: This British angle is just central. Americans desperately sought to surpass the British and replace the British world system with one of their own. Yet they remained reliant upon British power for so many of their goals – not just foreign policy goals, it should be said, but also domestic ones such as internal development and infrastructure projects which required British capital. So it is a conflicted relationship in which America both collaborated and competed with Britain – or what I call ‘collaborative competition’. Were these processes distinct or were they simultaneous in their application? Dr. Sexton: These processes were absolutely simultaneous. Furthermore, I’m not sure that Americans at the time could have guessed that we now would say they might be separate. One interesting thing in this vein is to think about the language at the time. Many Americans – Jefferson being a prime example – spoke about America as an empire, not just a nation (ie ‘an empire of liberty’). I take them at their word and consider what we now think about as ‘the nation’ as an empire (ie the contiguous territory in North America). There is a bigger point here that is relevant for your website about the Founding Fathers. I consider the creation of America as a dynamic and ongoing process. So, as important as the founding documents of 1776 and 1787 were, they alone did not create the United States. Rather, America – both as a nation and as an empire – was also the product of complex and macro geopolitical forces that saw the gradual dissolution of Old World empires in the Western Hemisphere and the establishment of new political structures in their place. This isn’t to deny the agency of historical actors, nor the importance of the Declaration or the Constitution (or, indeed, the 1823 message), but rather to highlight the evolving contexts and circumstances in which those statesmen operated. Martin: Slavery and Abolitionism pop up again and again throughout the book as themes which cause the interpretation of Monroe’s Doctrine to be interpreted in different and sometimes seemingly inconsistent ways often by the self-same people. After your study, how do you think the Doctrine may have been applied were slavery not an issue? Do you think the United States have expanded more? Cuba? Mexico? Haiti? Dr. Sexton: Another great question. I think the answer to that is probably yes, there would have been more expansion without the slavery issue, particularly in the Caribbean. The obvious place would be Cuba in the mid-nineteenth century, which early statesmen assumed would one day become part of the Union. But most nineteenth century Americans would have guessed that Canada would be annexed, which obviously did not happen (and the slavery issue here was not directly the reason). So it is impossible to say. What is clear, however, is that slavery presented major political problems for proponents of expansion in the mid-nineteenth century. In the years after the Civil War, the legacy of slavery and the conflict also forestalled expansionist foreign policies. Martin: One of the things that I found interesting is your treatment of American egotism. You do a good job of telling it like it was, but without attaching modern day judgments to it. As I read, I wondered if, in spite of how non politically correct it sounds today, they were right many respects. Not every country is cut out for the “American System.” What are your thoughts on that? Dr. Sexton: The US political model and system is not for everyone, I agree. The key thing for nineteenth century statesmen was not the specifics of internal forms of government in other places, but that there was agreement on broad principles. At its heart, this meant republican government and open commerce. These principles helped advance US interests, but they did not always provide political stability. So, for example, late-nineteenth century Americans viewed their relations with Mexico as a model to be emulated across the hemisphere. But, of course, this was the period in which the seeds were sown for the Mexican Revolution of the early twentieth century. Martin: I seemed to detect the beginnings of Wilsonian foreign policy in Hamilton Fish’s internationalist shaping of the Monroe Doctrine. Am I off base? What are your thoughts? Dr. Sexton: I hadn’t thought of that one, but I see your point. Fish was an internationalist who sought to engage with Old World powers like Wilson as a means of reforming the world along American lines. The comparison might break down in some ways, however: Fish did not use the same vocabulary of self-determination and so forth that Wilson did. 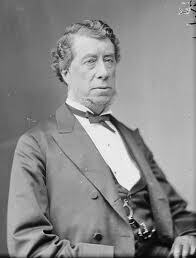 And the party difference is important, even if Fish was not your typical Gilded Age Republican. It is amazing that more hasn’t been written about Fish – he was the longest serving secretary of state in the 19th c and one who deftly avoided American entanglement in a number of potentially dangerous international issues. Fish doesn’t fit that well into existing paradigms for understanding the diplomacy of the time, which might explain why more isn’t written about him. The larger point here, however, is to return to Wilson. I often ask students if Wilson was the last nineteenth century statesmen or the first of the twentieth. The answer, of course, is a bit of both. But this is a bit counter-intuitive given that we think of Wilson as portending the future, rather than embodying the past. And I believe I mention in the book that there is a transatlantic dimension here, too, given Wilson’s admiration of Gladstone (the most important statesmen that most Americans have never heard of!). Martin: The book was a history of the 19th Century told from the unifying cord of the Monroe Doctrine and its interpretation for various purposes. You probably stumbled on some interesting things in the course of your research that you had to leave out. What did you leave out that you might have liked to include? Dr. Sexton: I had to leave much out… indeed, the big task with this book was streamlining it and making it more cogent and concise. This was a learning experience for me as I discovered that I had tried to jam too much detail into the book. Must of what I cut was simply more description of what is there. In terms of interesting things… I think that were I to do it over again I would try to bring out the religion angle a little more. It is in there – esp. when I discuss anti-Catholicism and how it related to certain conceptions of the Doctrine and Latin Americans – but there is much more to be said. Here, I would refer people to the work of my Oxford colleague, Richard Carwardine, who has written persuasively about the centrality of evangelical Christianity in mid-nineteenth century America. Daniel W. Howe’s What Hath God Wrought is also very good on the religion angle. Martin: What was the most surprising thing that you learned in researching the book? Dr. Sexton: The most surprising thing was simply how much disagreement there was within the United States about what the Monroe Doctrine was. This isn’t what is emphasized in the standard shoolbooks, nor in much of the scholarly books and articles. There was even debate in the nineteenth century about what parts of the 1823 message constituted the “Doctrine.” Secondly, I was surprised to learn about the extent of internationalism in 19th century. Again, we are conditioned to think of this as a period of isolationism and so forth, but there is a countervailing trend of internationalism that one sees in often unexpected places. Even John O’Sullivan of manifest destiny fame, for example, had a cosmopolitan streak that led him to embrace ideas and policies that we wouldn’t expect him to so do. Martin: What’s your next project? 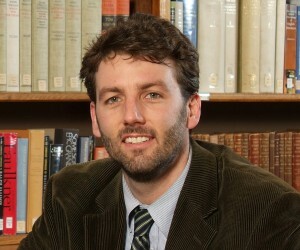 Dr. Sexton: Just finished a collaborative study on the global legacy of Abraham Lincoln. Look out for it this summer through Oxford University Press. I’m also just starting another collaborative study on the history of American Anti-Imperialism… In terms of solo projects, I haven’t decided yet… but hope to in the coming year or so. Martin: May I follow up in the future? Dr. Sexton: Absolutely, I enjoyed our correspondence and wish you and your website the best of luck. Thank you for insights to Monroe and what he was trying to achieve. Mr. Sexton is a heck of a nice guy and good historian. I’m glad you found the interview useful.